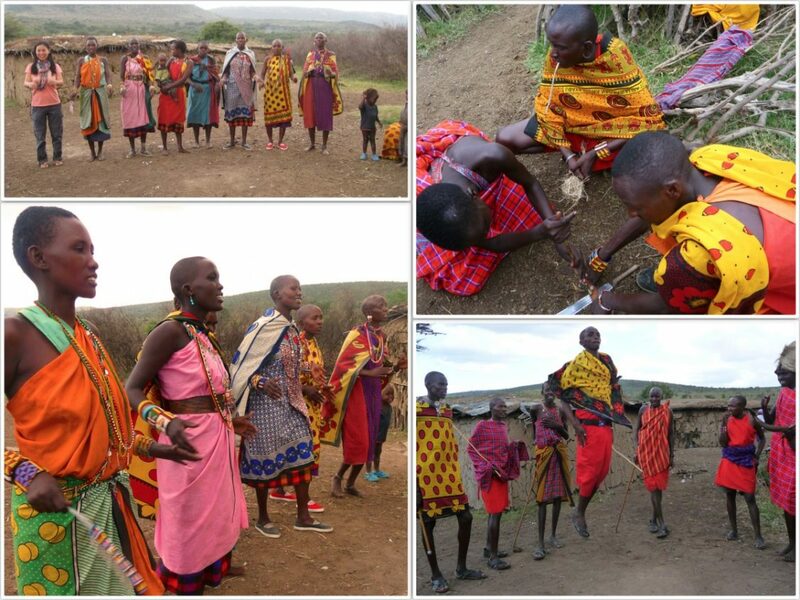 Kenya, a country with the most beautiful natural wonders, fascinating tribes and immense contrasts. 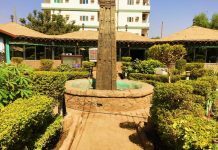 Travel to remote Lake Turkana in the north, relax at the white sand beaches around Tiwi and Diani, visit Lamu island and enjoy the best safari experience in the world in Masai Mara. 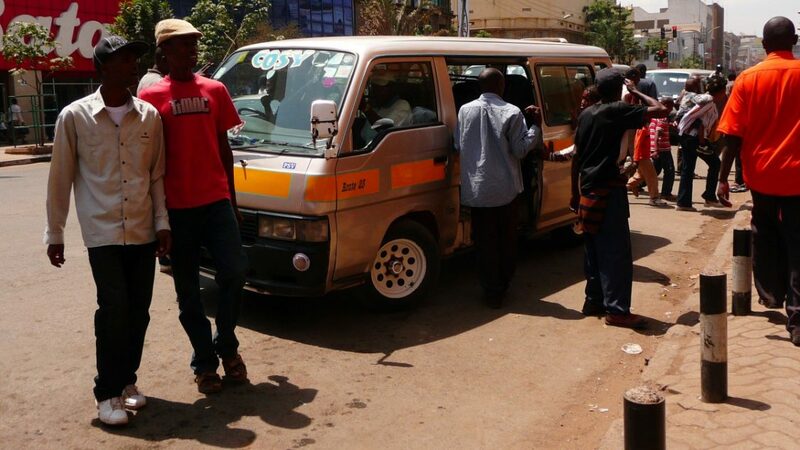 After a 3-months stay, I compiled a list of Things Not To Miss In Kenya. 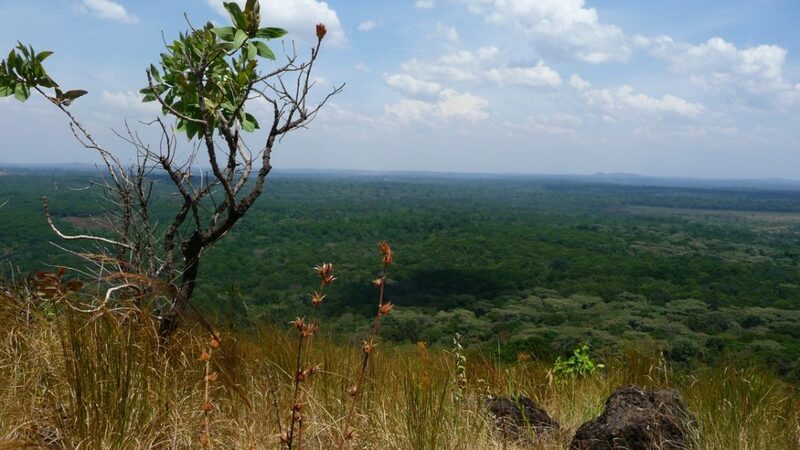 This is a subjective list, but we hope it gives you inspiration for your future Kenya trip! Will you let us know, if we miss anything? 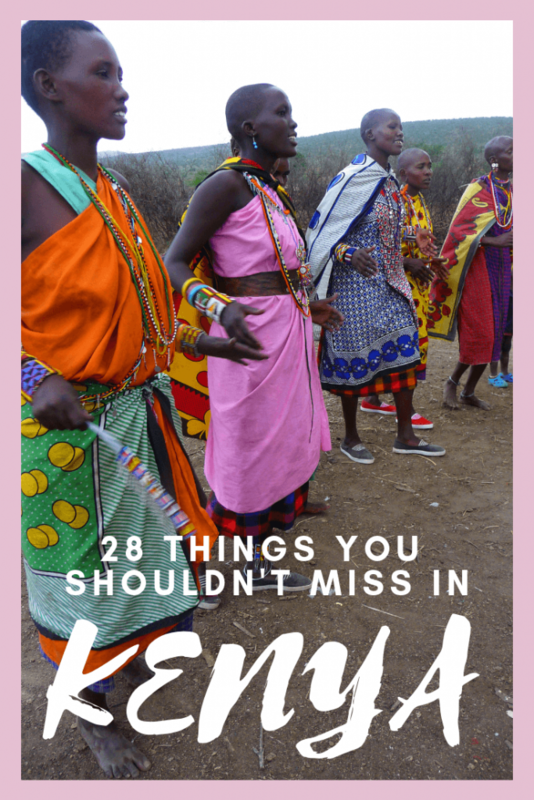 28 things not to miss in Kenya! 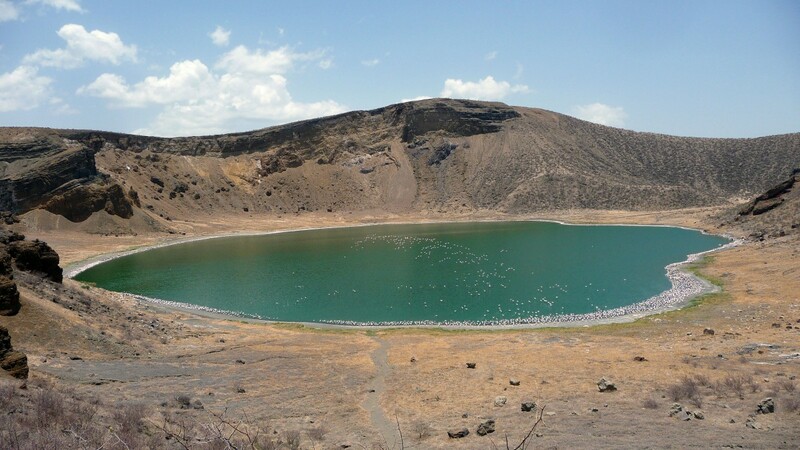 One of the Crater Lakes with flamingoes and crocodiles on Central Island in Lake Turkana. The area is seldomly visited and can be unstable, so check the latest security situation prior to your visit. Kenya. Copyright Bunch of Backpackers. Game drive Masai Mara. Masai Mara is one of the best reserves in Africa. Kenya. ©Bunch of Backpackers. 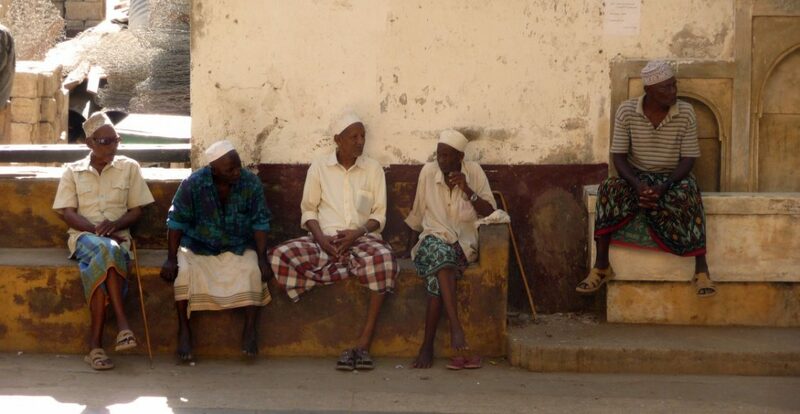 Old men in Lamu. ©Bunch of Backpackers. 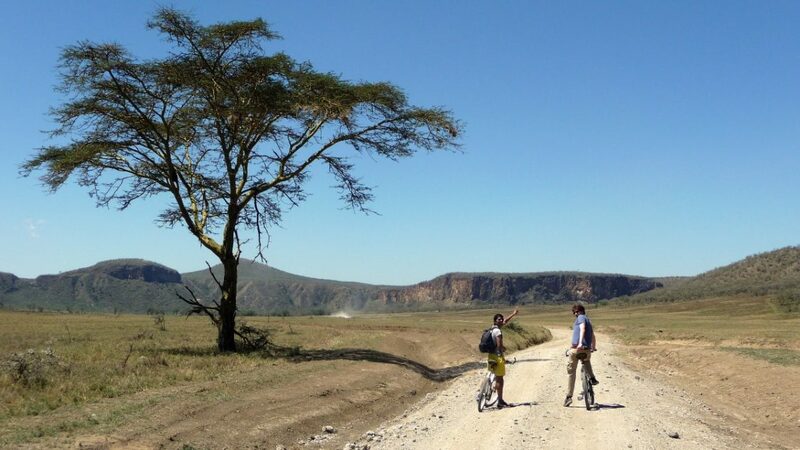 Cycling with zebra’s and other animals in Hell’s Gate National Park. A fun day!! 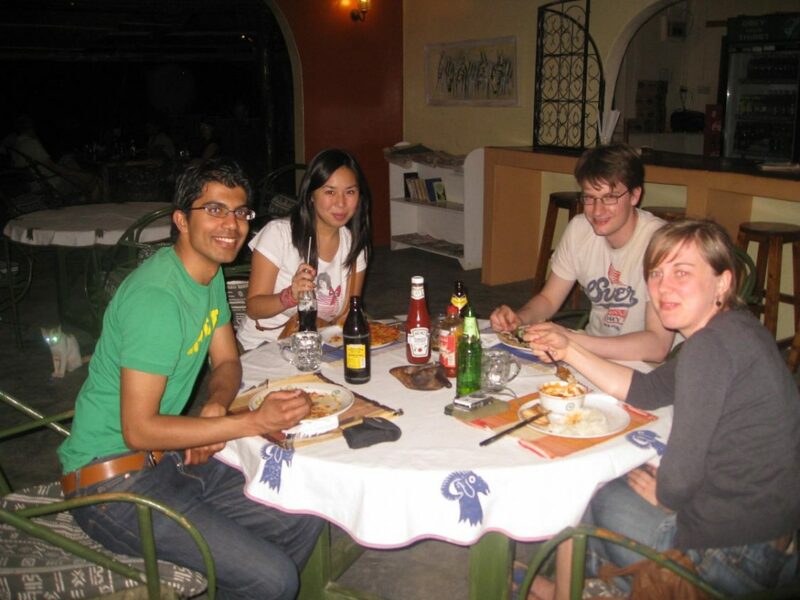 Kenya ©Bunch of Backpackers. 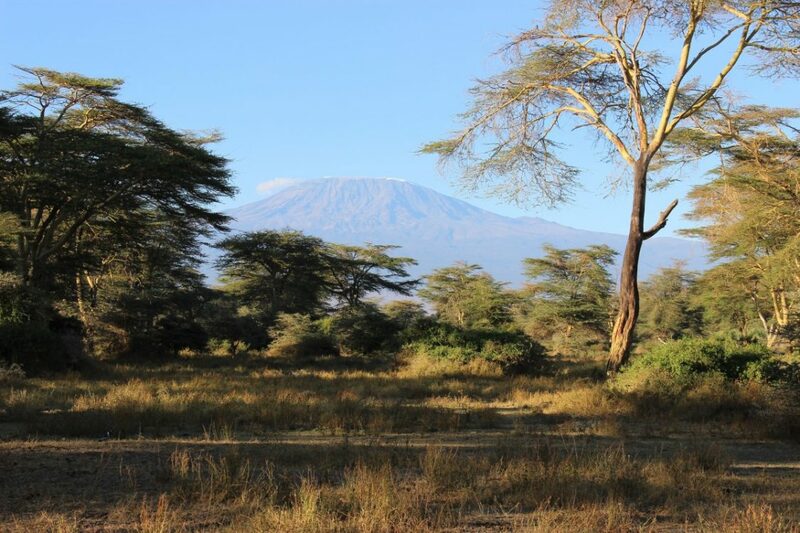 Behold (or hike) the Kilimanjaro! Mt. Kilimanjaro in the background. ©Annajo. Kenyan farmers in the Rift Valley. ©Bunch of Backpackers. 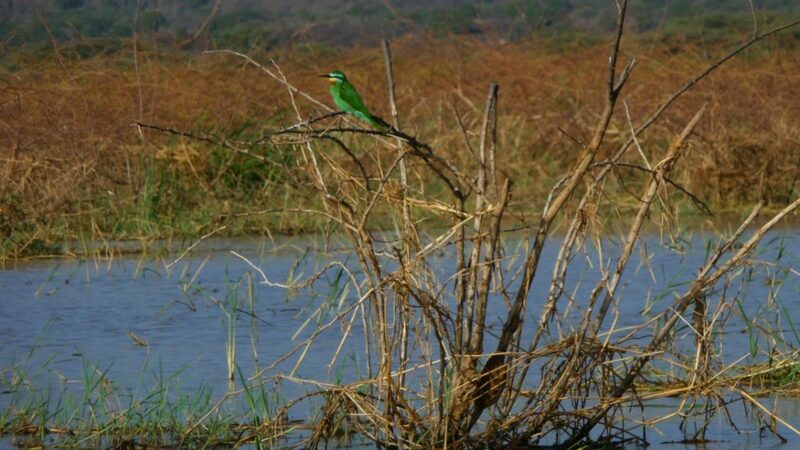 Kenya is a birdwatching’s paradise. ©Bunch of Backpackers. 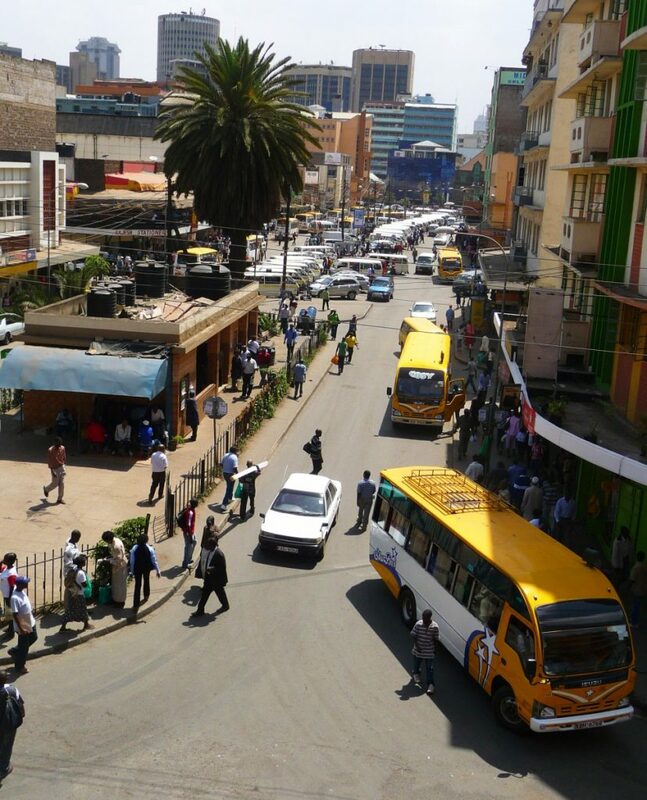 Dive into Nairobi’s urban life! 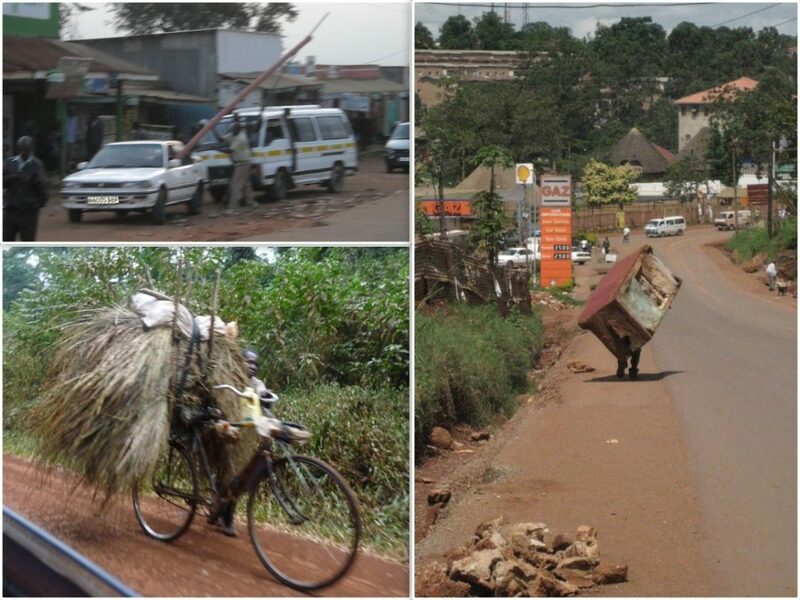 Nairobi is a fun city for a few days. You can go clubbing or shopping (or in our case, go to the cinema) ©Bunch of Backpackers. 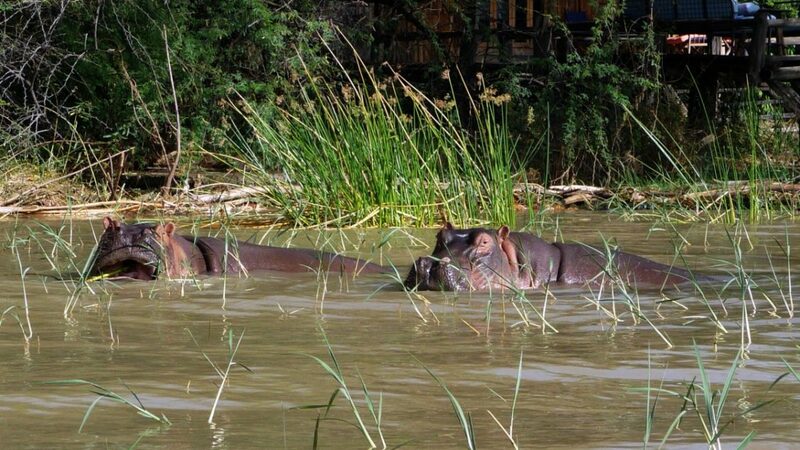 Come up close with hippos at one of the bungalows at Lake Baringo. This was taken in front of our porch. ©Bunch of Backpackers. 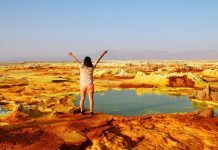 Go on an adventure in Kenya’s northern deserts! 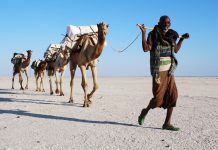 Adventures in the remote Northern desert in Kenya. Not many people venture here ©Bunch of Backpackers. 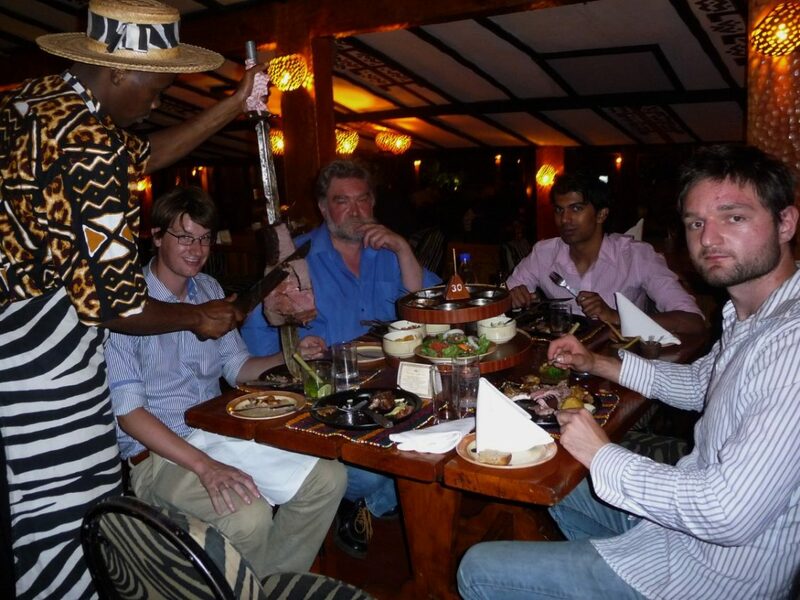 Have a tusker with your meal. ©Bunch of Backpackers. 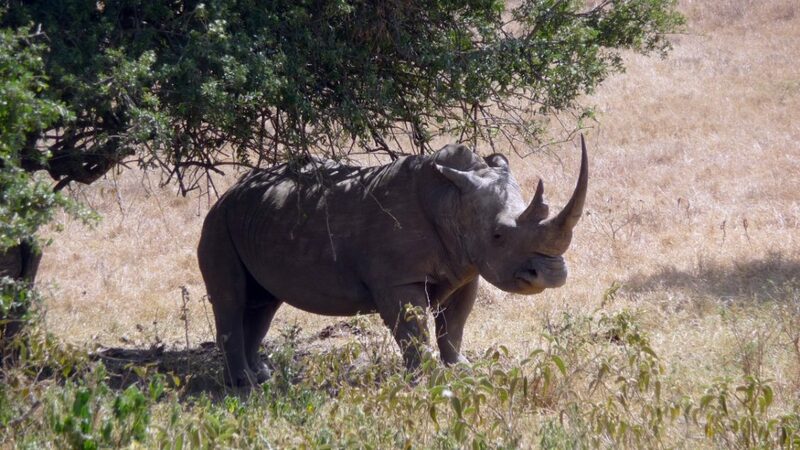 Spot a black rhino at Lake Nakuru. ©Bunch of Backpackers. 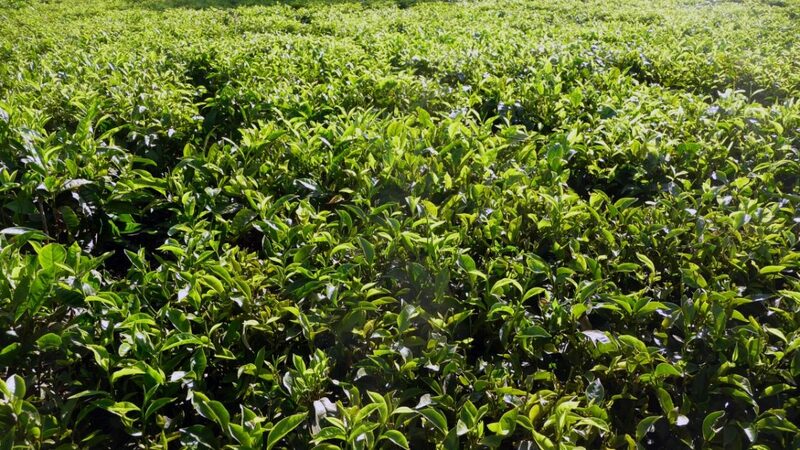 Have a cup of tea at the Kisumu tea fields. ©Bunch of Backpackers. 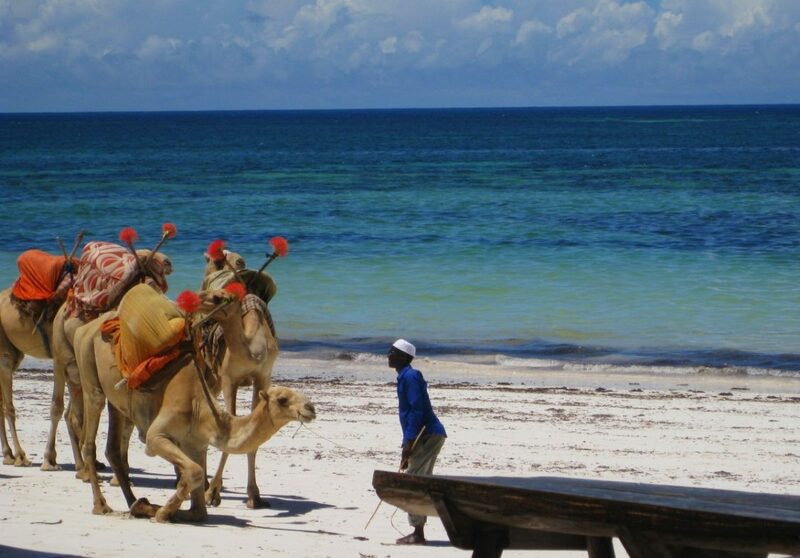 Time to relax at one the white sand beaches in Kenya. ©Bunch of Backpackers. 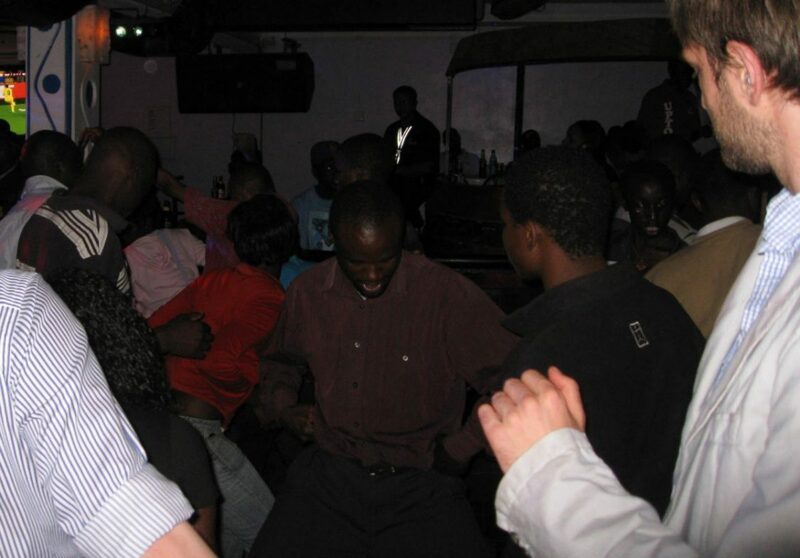 Let’s dance in one of the clubs of Nairobi. ©Bunch of Backpackers. 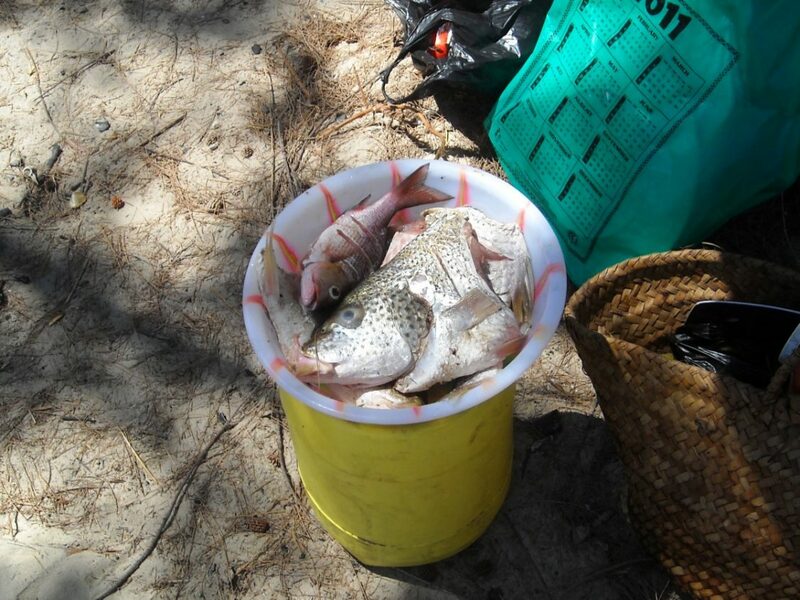 Fresh fish. ©Bunch of Backpackers. 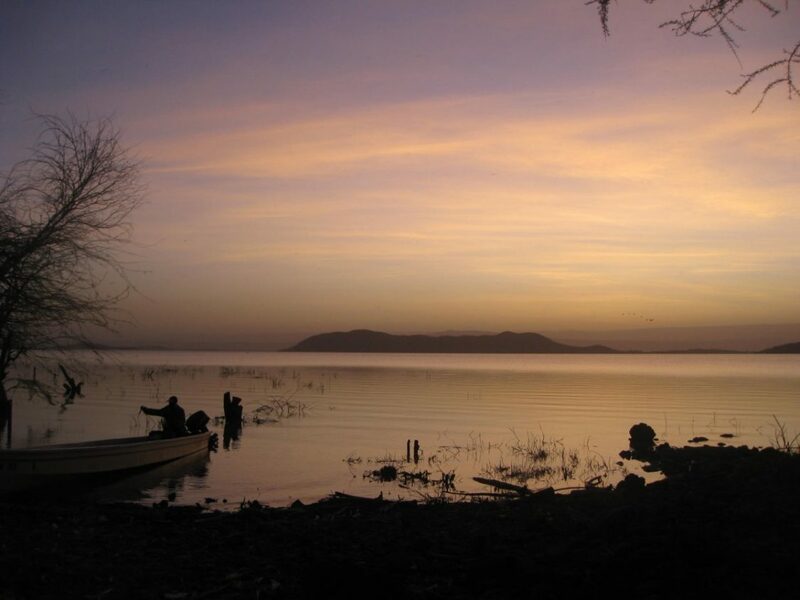 Sunrise Kenya. ©Bunch of Backpackers. 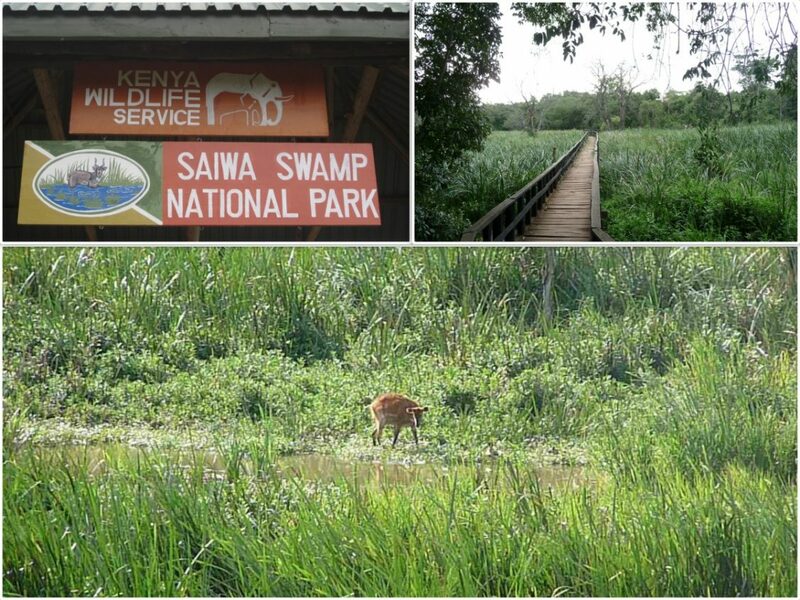 Have you been to Kenya? 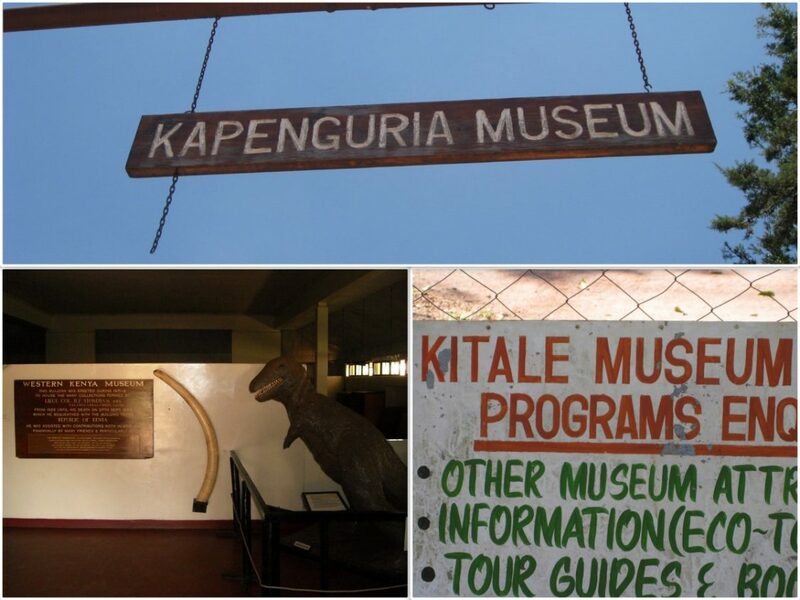 Let us know if we miss something in our ‘Things not to miss in Kenya’ list! 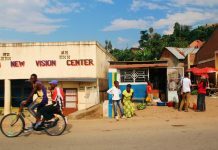 Previous articleHow to haggle during your travels? 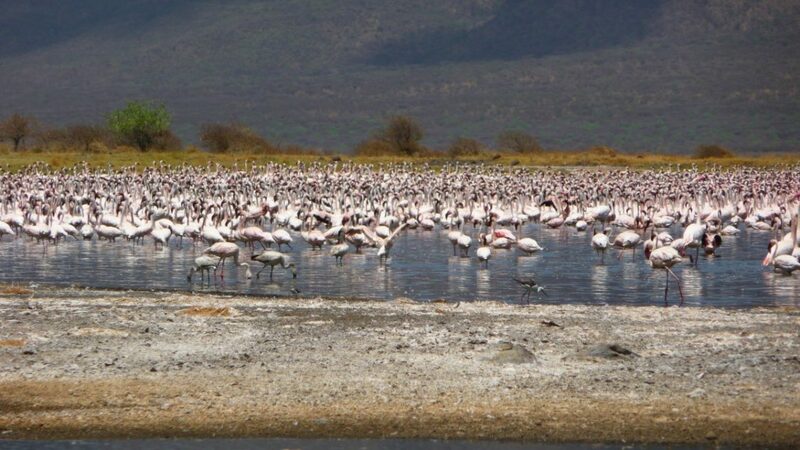 Next articleWhere to go birdwatching in Kenya? Wow! Fantastic pics!!!! Never been to Kenya, and although I’m sure wildlife there is fantastic, it is Nairobi and Mombasa that would probably attract me the most! 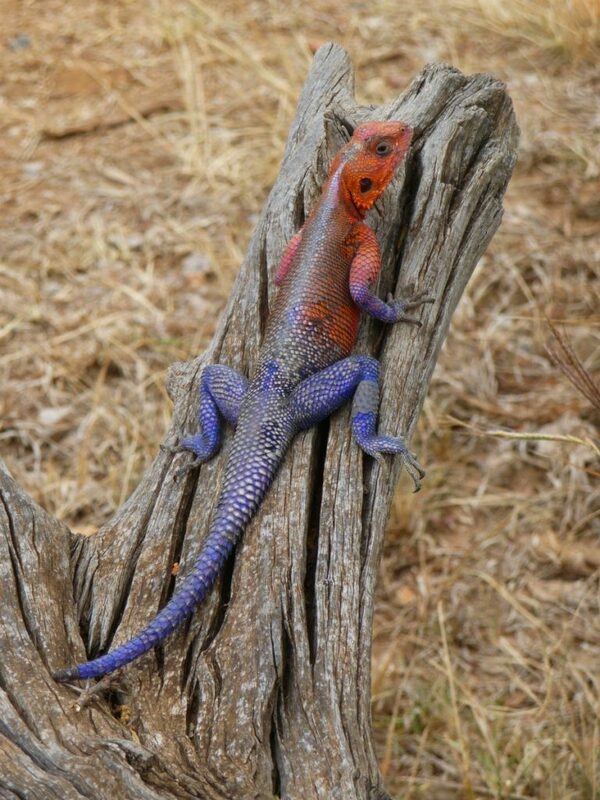 Hi Els, wildlife is indeed fantastic and Kenya also has some great cities to visit :)! 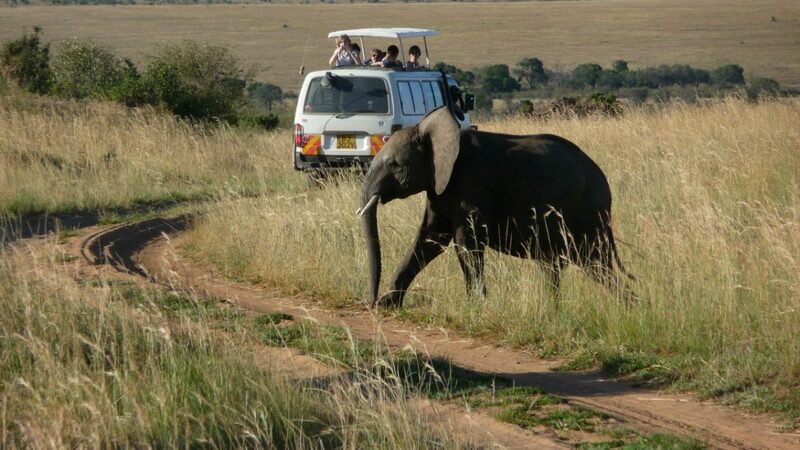 Kenya is one my wish list of places to go and my top country to visit in Africa. It looks incredibly rich with culture and I’d love to visit the national parks there. Great photos and it just made me more excited for when I go (someday) ! Hope you can make it there someday Samantha! 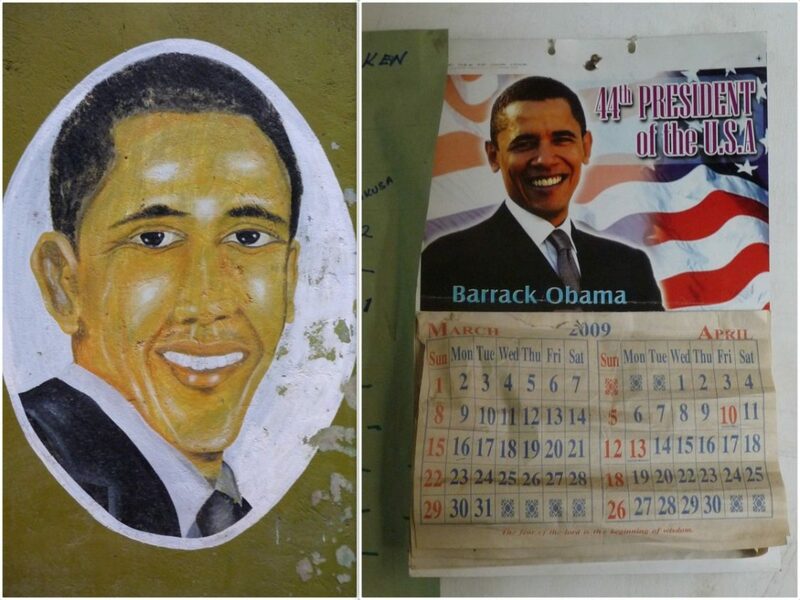 Hi Dennis, Kenya is so diverse! I’d to recommend to anyone :)! Thanks for reading the article! Thats an awesome list of things to do! I would probably have to stay there for a solid month to fully immerse myself in it. 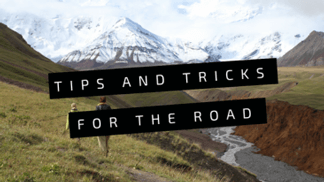 Great tips for things to do in Kenya. 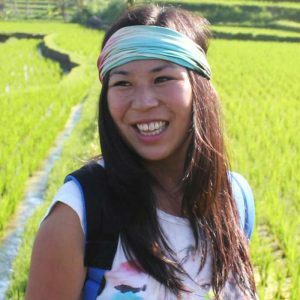 Most people go on safari, but visiting the country side to connect with people is recommended as well, Thanks for sharing. Hope you will make it there some day Franca :)! And thanks Bente (sorry for this extremely late reply)!! 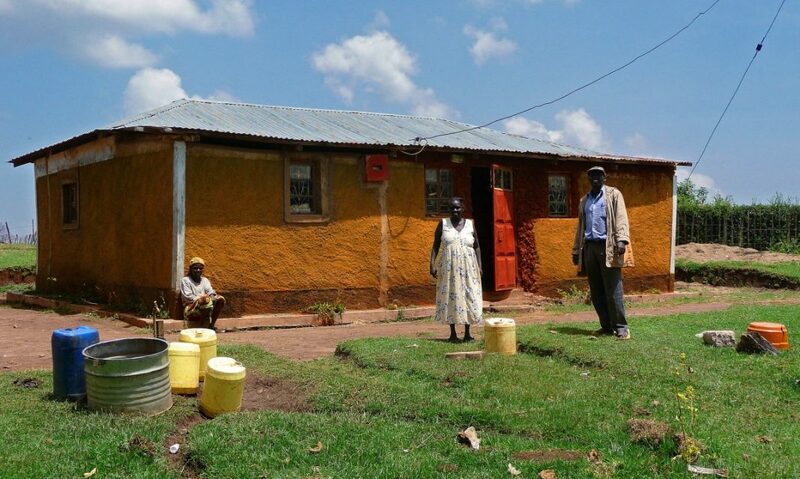 I traveled to Kenya in 2013 and my heart has never been the same. I miss it every day! My husband spends a lot of time over there on business and considers it his second home. It is a beautiful country and you will never meet kinder people. We will be taking our sons in 2016, and I hope that this amazing place will touch their hearts as well. Our hopes are to retire there someday……..
we went in 2012 and are headed back in a few weeks! 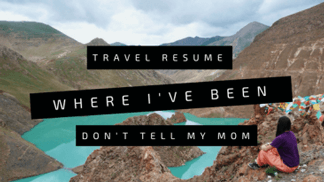 I’d add Mt. Elgon to your list for sure. 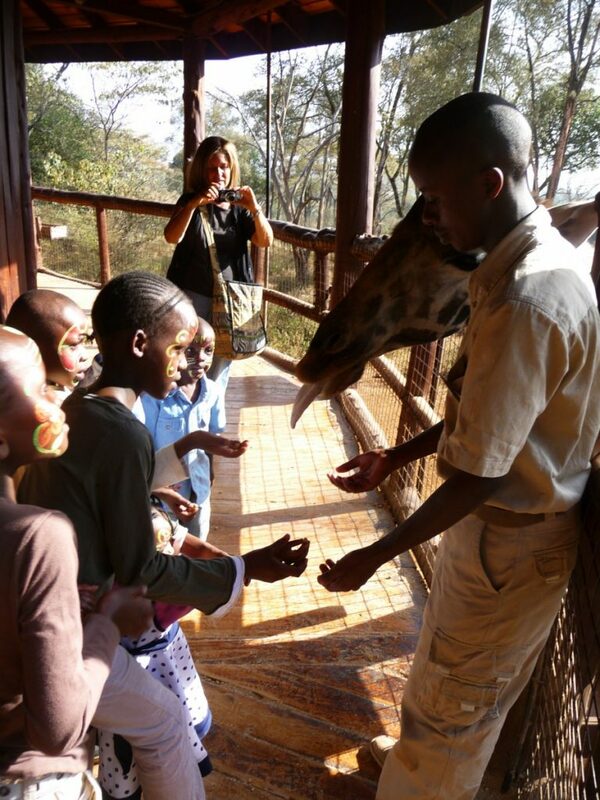 And the David Sheldrake Wildlife Trust – the elephant orphanage, in Nairobi. 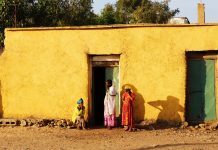 im leaving tomorrow to travel to Kenya for the first time…. 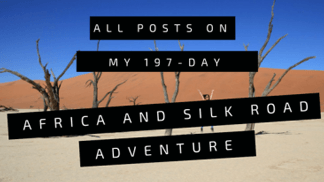 i spent 18 months in South Africa about 35 years ago… really excited to go back to Africa and experience another part of this wonderful country…. Have an amazing time Lesa!